The Polish-Soviet War was an armed conflict that followed the collapse of the Russian Empire. Soviet Russia and Soviet Ukraine fought with the Second Polish Republic and the Ukrainian People's Republic over the territory of present-day Ukraine and parts of Belarus. The Battle of Warsaw was a pivotal moment in the war. It was fought in mid-August 1920. The Polish Army led by Marshal Józef Piłsudski managed to protect the capital of Poland from a Red Army offensive and to reassert the independence of Poland. The events of the battle are also known as the “Miracle of the Vistula” (the Vistula is a river flowing through Warsaw). Polish Armed Forces Day was first celebrated in 1920. When the Communist rule in Poland began in 1947, the holiday was discontinued. 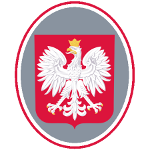 It was revived in 1992, following the democratic transition that led to the establishment of the Third Polish Republic.